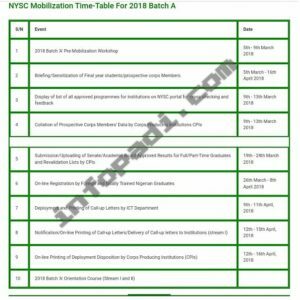 NYSC LATEST UPDATE 2018- As we informed you earlier in our previous NYSC update, we will like to call the attention of every Nigerian graduate that the online registration for 2018 Batch “A” prospective corps members would still commence on the date published earlier. 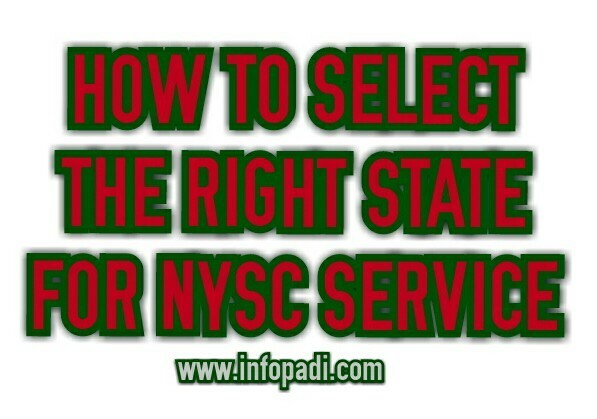 In case you missed the previous update, you can read it here NYSC MOBILIZATION COMPLETE DETAILS. The online registration will start on the 26th of March, 2018. You can view the complete timetable below and also let us know if you do not understand any aspect of the process. 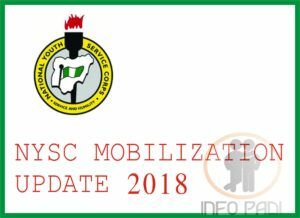 For those of you searching for the NYSC Pre-Mobilization Workshop, we will like to inform you that the Pre-Mobilization Workshop for 2018 Batch ‘A’ Mobilization Process has been concluded in Sokoto State. The Theme of the Workshop was Enhancing Data Integrity in the NYSC Mobilization Process. 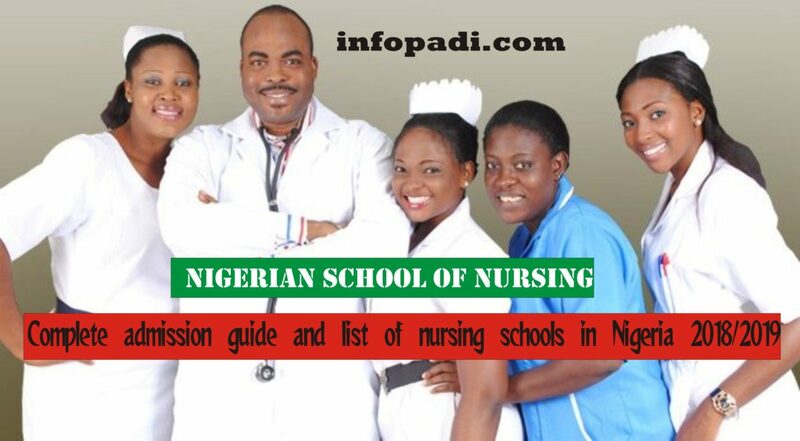 For more NYSC UPDATES, kindly subscribe to this site using your email. Subscription is free. 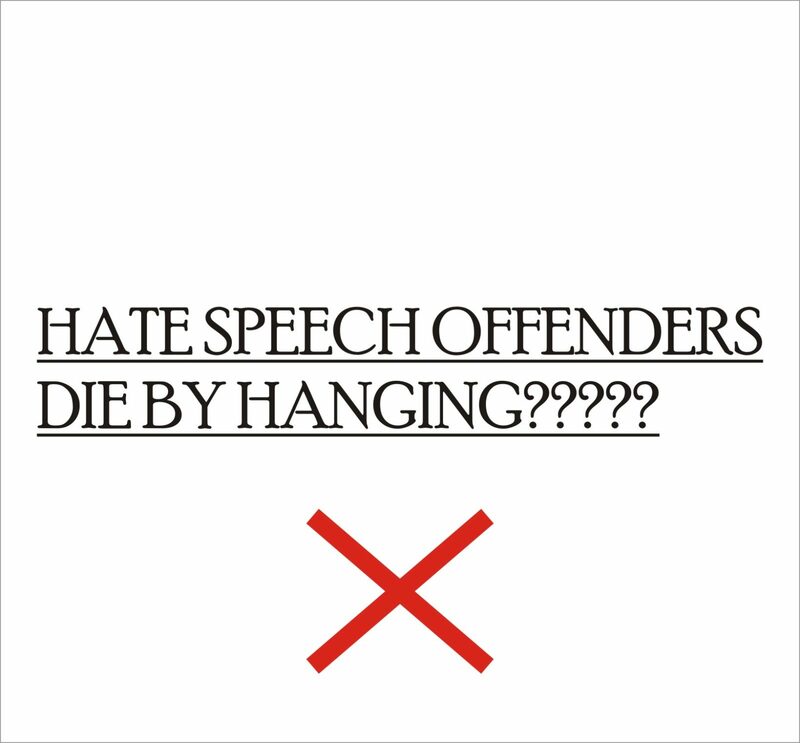 Please the official platforms for NYSC are written below. If you have any issues you can contact them through any of the channels or you can also let us know and we will contact them and enquire on your behalf.